It was very exciting to actually be in Bethlehem. But it was nothing like what I pictured from reading in the Bible. Everything is so commercialized today. A church has been built over the place where the stable was. I understand they have to preserve these special places but it doesn’t help me any in my imagination. Pic 1 We bought a Nativity set from a shop in Bethlehem. 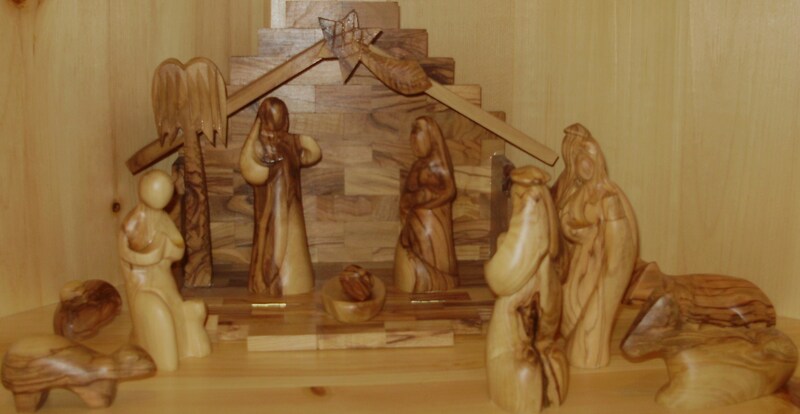 We don’t know how accurate this is either because Jesus may have been born in a cave, made into a stable. 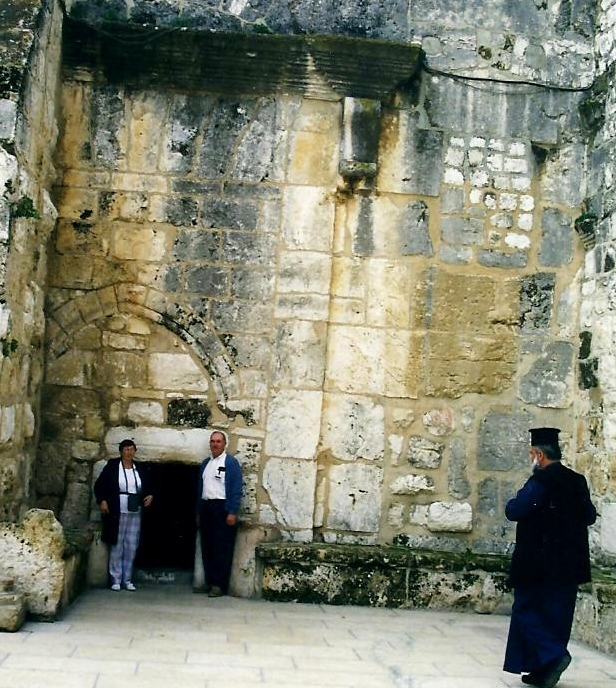 Pic 2 is of Jerry and me going into the place where they say Jesus was born. 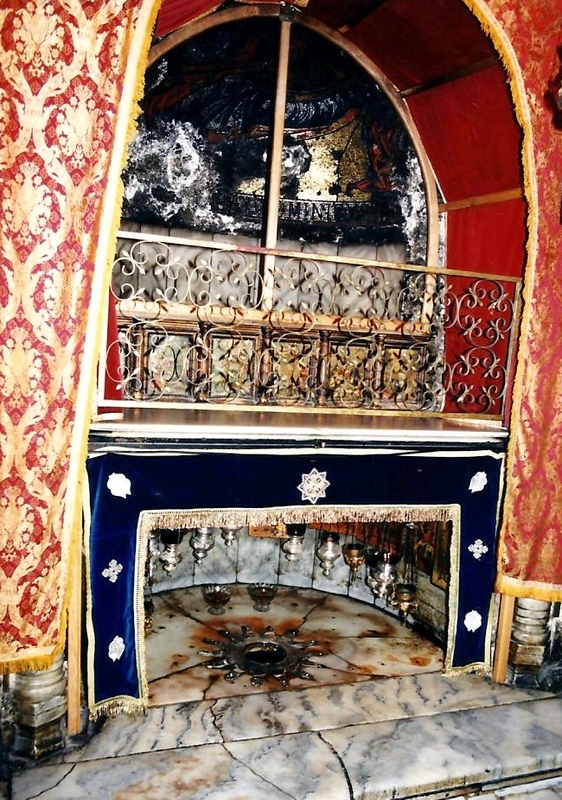 Pic 3 is supposedly the very spot where Jesus was born! It’s supposed to look like a star. It was a little disappointing. This entry was posted in Asia, Israel, Traveling and tagged Asia, Bethlehem, Israel, Travel, World. Bookmark the permalink.